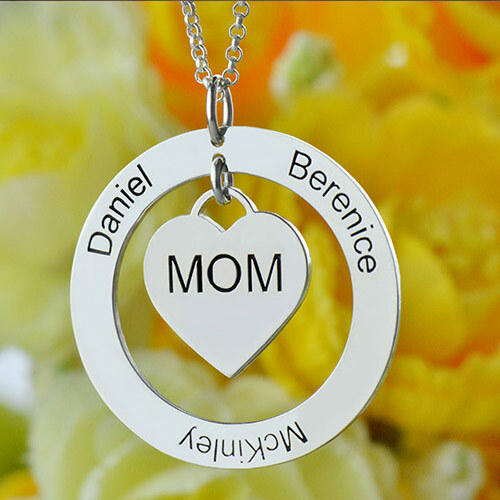 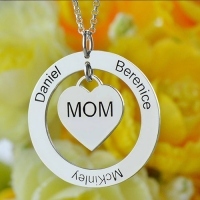 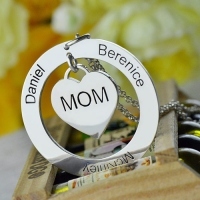 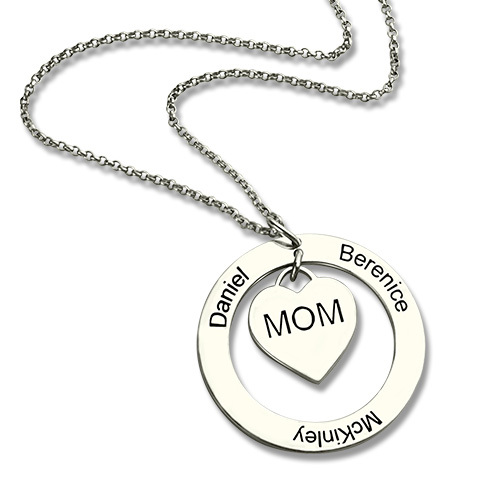 Mother Day Gifts - Family Names Necklace For Mom Sterling Silver - Show Mom how much she is loved with our Circle of Love Personalized Name Necklace. 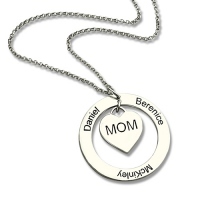 We will skillfully hand stamp her name, her sweethearts name or the names of her children or grandchildren. 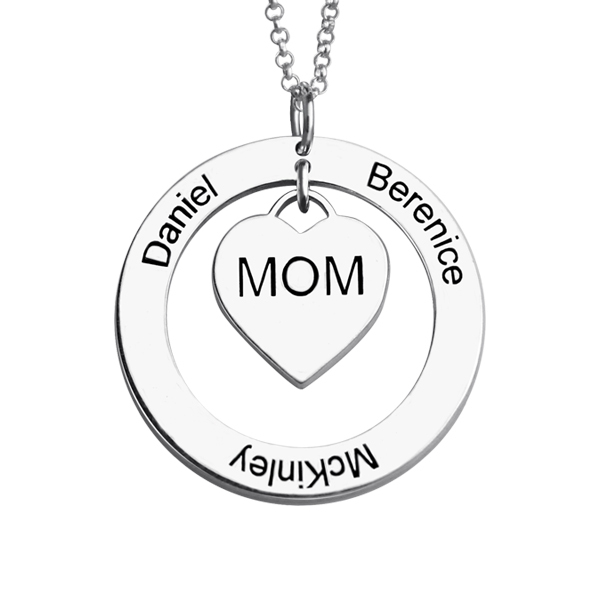 Personalize one, two or up to three names on the circle heart pendant. 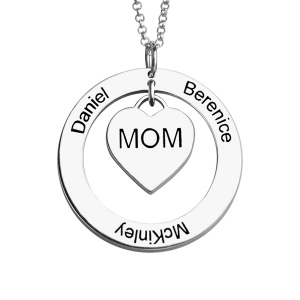 A mom heart dangle hangs in the middle of the personalized circle pendant.She will be proud to display her true loves for the world to see!